First power from a proposed new nuclear plant in Cumbria is now not expected until the end of 2025, a year later than had been planned, developer NuGen has said. The new timescale for the Moorside plant, included within consultation documents published, follows the company “reassessing” the schedule for construction and “learning more about the delivery of the project”, a spokesman said. The delay is the second time the timescale of the proposed plant has slipped. NuGen plans to build three reactors with a combined capacity of up to 3.8GW at the site near Sellafield, subject to a final investment decision in 2018. 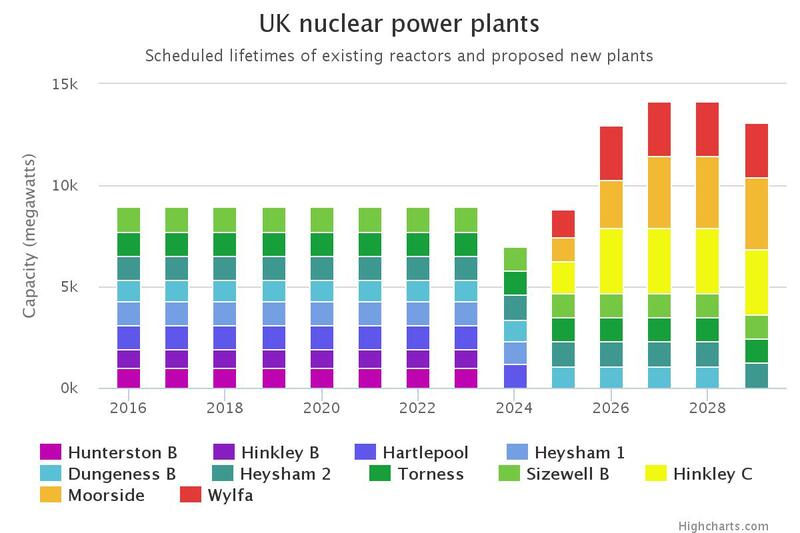 While most attention has been focused on EDF’s planned Hinkley Point C project, NuGen had until now actually been expected online earlier than the much-delayed Somerset plant. The NuGen venture was formed in 2010 by SSE, GDF Suez and Iberdrola, targeting first power in 2023. SSE withdrew a year later, selling its 25% stake to the other two partners. In 2013, cash-strapped Spanish utility Iberdrola also quit, selling its 50% stake to Japanese firm Toshiba, which said it would use its Westinghouse reactors at the site and aimed for first power in 2024. Toshiba also bought a 10% stake from France’s GDF Suez, which subsequently rebranded as Engie.